After these remarks, BMW and Daimler’s shares ended lower than 1.5 and VW’s closed down by 2.2 percent. Many speculate that this is due to the pressure the President is under to create more U.S. jobs. Thus, he has turned his eye toward the carmakers that use the notoriously low-cost plants in Mexico that can efficiently serve the U.S. market. Although, the President has also warned Toyota that it would face “big border tax” if it were to pursue manufacturing the Corolla in Mexico. BMW and the other German car manufacturers responded by mentioning that their companies employ many citizens in the United States, specifically 33,000. The German automotive suppliers connected to these companies employ 77,000 more people in the United States. The Germans also mentioned that rather than “shooting themselves (the U.S.) in the foot,” by penalizing German carmakers, the U.S should start building better and more desirable cars. They have no plans to pull out of Mexico, as they have a $1 billion investment there already and the factory will go into production in 2019. 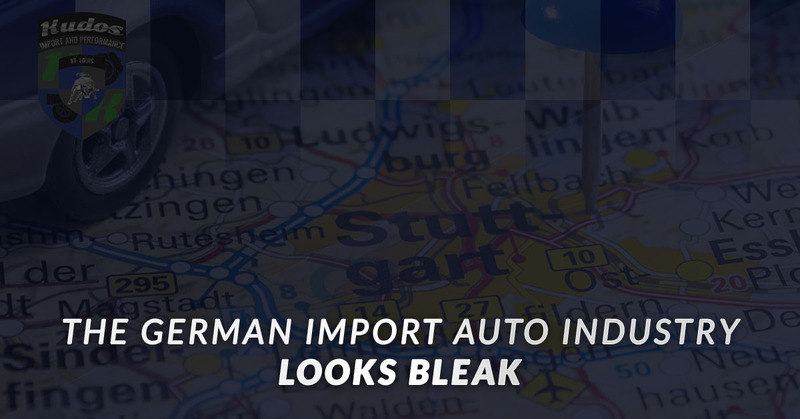 If a 35 percent tax is placed on the German automakers and potentially Toyota, the prices of import auto repair will go up. If it’s more expensive to import auto parts and the cars themselves into the states, the German automakers and Toyota will not take on the cost, they’ll put it onto the consumer. If we see parts for these highly desirable cars go up, the price of BMW service, Mercedes maintenance and VW repair will go up as well. At a glance, it looks as if these automakers are being punished, but it is the consumer that will feel the brunt force of this hit. We take pride in offering the best pricing available despite changes in national policy. We’ll do our best to protect you from quarrels that have nothing to do with you so that you can justify keeping your luxury car. Kudos Luxury Import Auto is proud to be your premier import auto maintenance shop in the Chesterfield area. Contact us for your VW repair, Mercedes maintenance and BMW service anytime, we’re excited to hear from you.